You can upgrade or downgrade your subscription plan at any time, to best match your GatherContent usage. 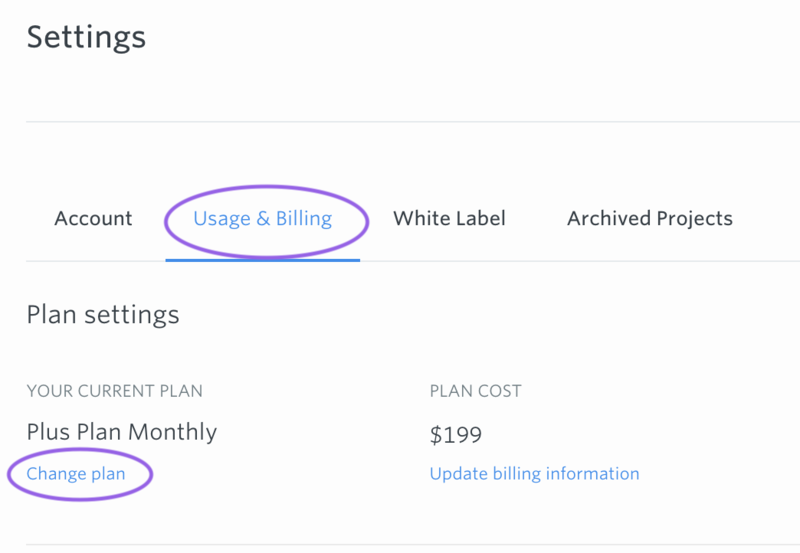 You can upgrade or downgrade your subscription plan from the Billing tab in your Account Settings. You can see our most popular plans on our pricing page. What if I'm over my plan limit and I want to downgrade? When I clicked upgrade I only saw an annual amount? If I upgrade my subscription plan, can I cancel at any time? If you upgrade your subscription, a prorated amount will be charged to the payment method on file immediately, reverting to your normal billing cycle afterwards. 1. Go to your Account Settings. 2. Open the Billing tab and click 'Change Plan'. 3. Select the plan you'd like to move to. Afterward confirming, you'll receive an email from us confirming the subscription change. If you downgrade your subscription, this will take effect from the end of the current billing period, so at the next renewal date, your plan will automatically be downgraded. This applies to any plan which has a lower value than the one you're changing from, so for instance from an annual Plus plan to a monthly Pro plan. Afterward confirming, you'll receive an email from us confirming the subscription change. You'll also receive another email when the downgrade takes effect at the next renewal date. You may need to archive some items or projects if you want to downgrade and you are over your plan limit. There is a toggle on this page to switch to the monthly versions of the plans on the page. Yes, you can always cancel your GatherContent account at any time. Once you've paid for your plan, you'll have account access until the end of the current billing period, even if you cancel. For example, if you took out an annual Pro plan and cancelled your account after 9 months, you'd still have account access for another 3 months.